It’s 2017 and we are geared up for a brand new year of opportunities for Amazon sellers. We are stoked and can’t wait to help you! No matter where you are in your journey, we want to either help you continue to grow your business, or start a new one. 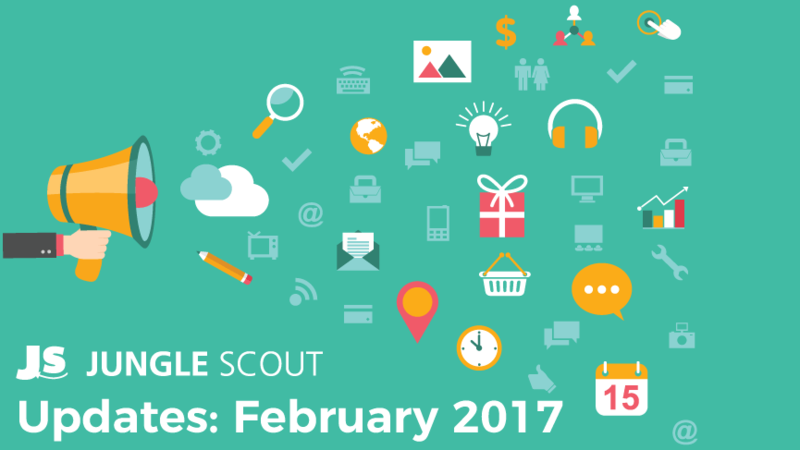 Plus we shared tons of insights with new blogs, videos and webinars! Wow! What a month for our YouTube channel! Our video expert, Lenny, has been working hard. This month marked the addition of a new video series, it’s called ‘Ask Jungle Scout’. This is where we take questions from you and share our tips and insights. So other than constantly sharing new and interesting content with our viewers, we’re also constantly looking for ways to improve and fine tune the Jungle Scout toolkit. We recently took a long hard look at Niche Hunter to find ways to present actionable data in a more concise format. To do this, we removed some graphs and gave you more niches, with more complete data. This means that now you can understand more about the niche quickly, with a easy-to-read overview. If you weren’t really sure about the Niche Hunter before, take a deeper look at our updated version. Please shoot us any feedback about these changes, we are always looking for ways to improve, so we would love to hear what you think! January saw even more stores added to the web app. Namely, we added Mexico, Italy, India and Spain. We added all of these marketplaces for the extension in December, and now we have them in the web app, too! With a quick click, you can add products straight from your Jungle Scout Pro extension to your Product Tracker. These new stores are in beta, so we will continue to add more products to the database and niches/keywords to Niche Hunter. Keep an eye on those new stores, you will be able to watch these as they grow! ? Tax season is just around the corner, and I wish I could give you a tax fairy who does everything for you. But, we have the next best option! 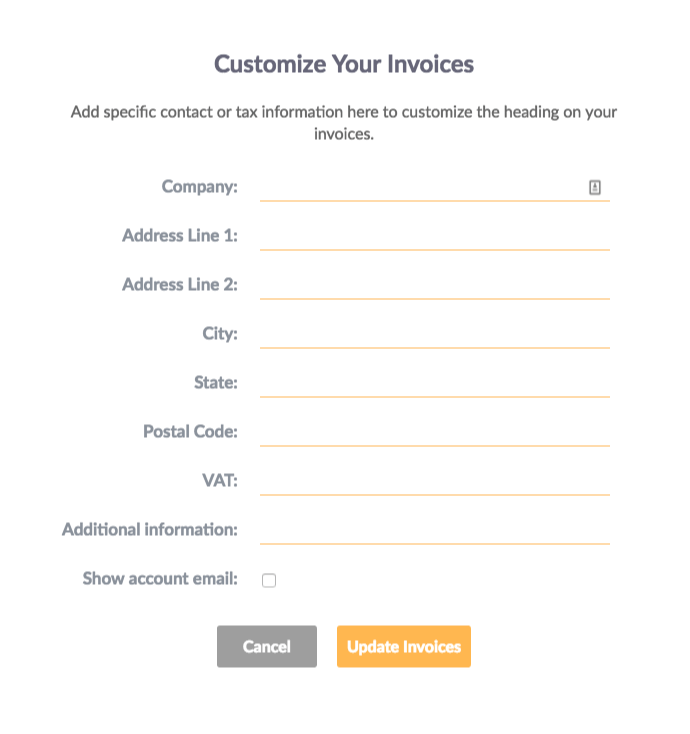 Customizable invoices!!! Now, right from your billing section in Jungle Scout, you can edit your company details so you have everything you need at a click of a button. Edit, download and conquer this tax season! January brought a lot of knowledge bombs! We started our new series, ‘Ask Jungle Scout’, where Lenny answers questions submitted by you in a clear and digestible manner (I’m sure you’ve already seen it above). Have some questions you want answered? Make sure you send them to us in the comment section of the videos here. We also added videos on email campaigns and verifying demand. Greg and Shane (our webinar heroes) have been hard at work with webinars too. Shane joined forces with TaxJar, to help Amazon sellers understand the ins and outs of FBA sales taxes, while Greg did one with Mark Adams about the Canton Fair. He also joined forces with Dom Wells, chatting about Amazon affiliate opportunities. Here is the replay of the affiliates webinar. It covers how to find an Amazon niche, and has some awesome research tactics that can be applied to finding a physical product idea as well. You can get the slides here. Whew! That’s an awesome start to 2017! What’s more, we just announced our new case study for 2017 – The Million Dollar Case Study. Yes that’s right, we’re setting out to sell a million dollars worth of physical product. If that doesn’t get you intrigued I don’t know what will, make sure you don’t miss this one and join us for the ride. Check out the Million Dollar Case Study here! Comment below and let us know how we can help you out with your business, or send an email to [email protected]. We would love to hear from you! I use the Chrome extension only a few days, but there is one thing that bothered me a bit. The average price is displayed. This is unhelpful, as there are very often extreme price differences in a page. I think it would be the better solution here to display the median. This makes it much easier to estimate the real average price.